Front wheels, rear wheels or four wheels – Audi Sport is acknowledging that performance car enthusiasts have personal preferences by bolstering the acclaimed R8 range with a limited edition Rear Wheel Series. Even more uncompromising in its pursuit of driver reward, this latest version of the much loved V10 super sports car makes history as the first ever rear-driven Audi following the global success of the R8 LMS GT3 racing car. 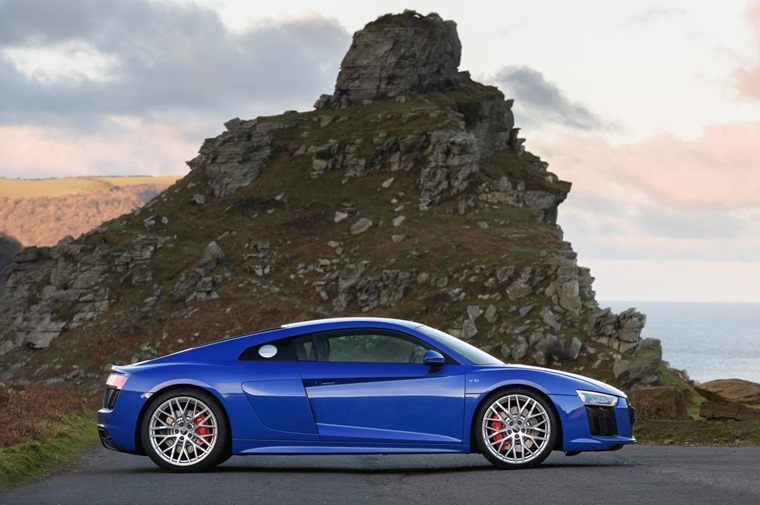 This purebred character of the new R8 variant is underscored by the matt black grille of the Singleframe and the matt black air apertures at the front and rear of the car. Despite the overtly rearward bias in the drivetrain, performance off the line and beyond remains reassuringly breathtaking with the 0-62mph sprint being dispatched in just 3.7 seconds and the pace remaining furious until v-max at 198mph. 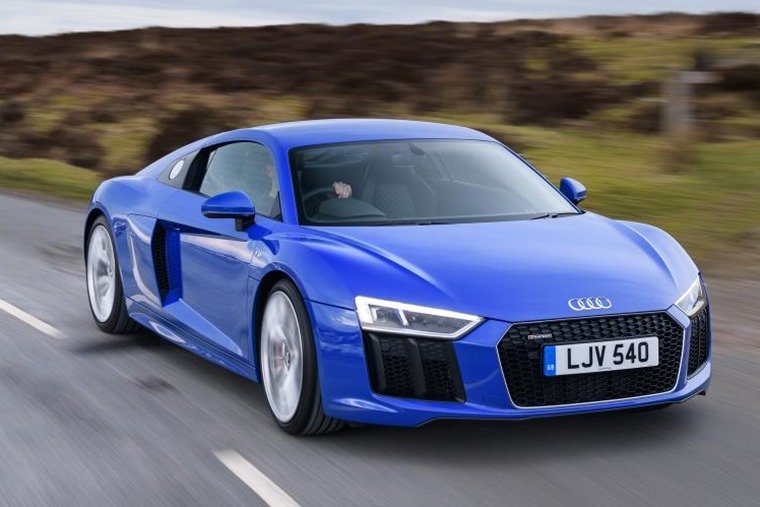 This is thanks, in part to weighing 50kg less than the R8 coupe which needs additional components like the propshaft, multi-plate clutch and centre differential thanks to its AWD. 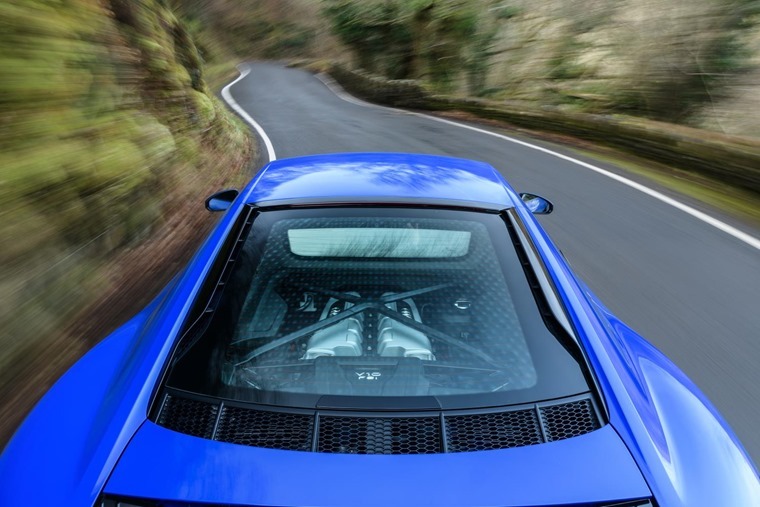 The mid-mounted V10 engine, which is now one of the last naturally aspirated powerplants in the segment, produces 540PS and peak torque of 540 Nm at 6,500 rpm. 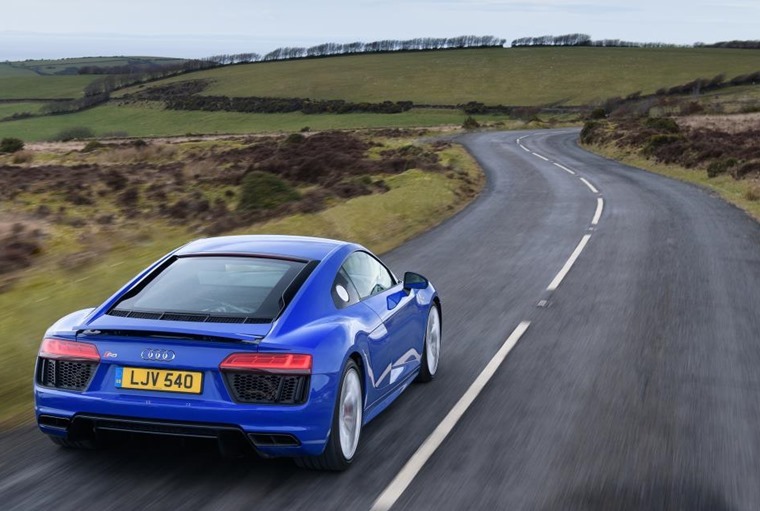 Its enthralling, visceral sound can be further enhanced by the fitment of a sports exhaust while combined fuel economy in the R8 Coupe V10 RWS amounts to 22.8mpg. Do you even care about the interior on a car like this? Would you even dare turn the radio on when that V10 is shouting away in stereo? Okay, well the driver and passenger sit in heated sport seats covered in leather and Alcantara, and the Audi Virtual Cockpit, the high-definition Audi Sound System, MMI Navigation Plus with MMI Touch and a suite of Audi connect Infotainment services feature throughout. Audi Sport also offers owners the opportunity for full personalisation, with a gloss carbon finish extending to the mirror housings, front spoiler lip and engine bay, while the Audi exclusive programme can also be comprehensively applied to various touchpoints on the interior to ensure that no two R8s are the same. The dashboard even bears an emblem “1 of 999” indicating this as well as the limited number of units. Priced from £112,450 OTR, the new R8 Rear Wheel Series has been available to order in the UK as a Coupé or Spyder since September, and first deliveries will commence in March.